RM1 25*25mm used for cellulite reduction in large areas such as the thighs, buttocks, arms and abdomen. 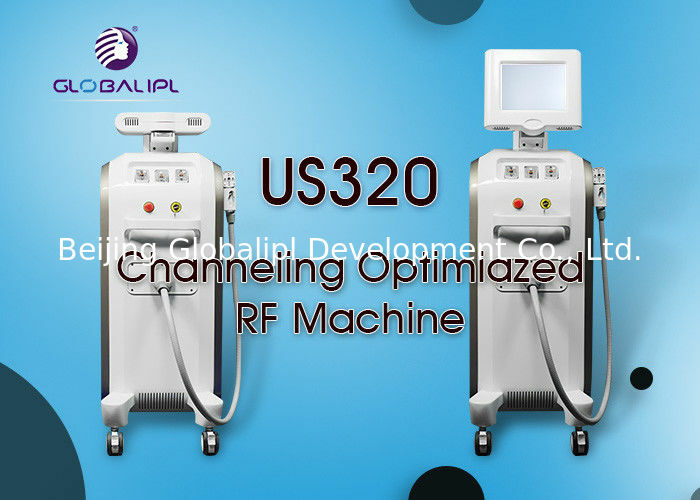 RM2 13*13mm used for cellulite reduction of localized fatty deposits in small and sensitive areas such as the chin, neck, inner thighs and under arm. 2. The screen can be folded up and down, rotate 180 left and right. 3.No pian , no side effect, easy operation, safety, efficient. In tighten skin and reduce cellulite,the result is obvious and lasting effects. Channeling Optimized RF Energy(CORE technology )features three distinct RF frequency channels (0.8MHz, 1.7MHz and 2.45MHz) and an additional fourth multi-channel mode, combining all three RF frequencies. The major benefits of these multiple RF frequencies include superior treatment control, precision targeting, a broader dermal effect, and higher energy absorption for optimal clinical results. In the process of treatment, the heating of dermal collagen fibers will first shrink collagen fiber, make food by taut, wrinkles, then creates thermal effect in the dermis collagen hyperplasia, newborn collagen realignment, increase in the number, the repair of aging damage layer of collagen, so as to achieve the anti-wrinkle firming effect. - All our certifications are real one. - Not pake,not pake,not pake !!! Please contacts us to show you !!! 3.Do you have any timely technology supports? 4.What is the payment method? -- TOP 3 Manufacturer in China. Send your inquiry detail in the product now!! !